Samardžić, Oreški & Grbović (SOG) is a full-service business law ﬁrm providing its clients with the highest quality legal advice across a wide range of key areas of corporate law in South East Europe. The firm is one of the founders of the regional legal alliance of law firms - LEXcellence, a one-stop-shop legal network for jurisdictions across the region, providing support to regional and international clients with multi-jurisdictional business interests in the region. SOG is particularly noted for its refined legal expertise, high professional, ethical and quality standards, attention to detail and responsiveness and is firmly committed to providing advice and legal representation that achieves long lasting results for clients. The firm provides clients with custom-made solutions to their situations and problems in all areas of corporate law, including commercial law, M&A, banking and finance, real estate, restructuring and insolvency, litigation and arbitration. SOG’s proactive approach is reflected in their continuous monitoring and anticipating of market changes and trends and the introduction of innovative solutions that enable the firm to provide a truly comprehensive service. SOG combines the efforts of all of its lawyers to achieve excellence and to create the safest path for clients when dealing with the most demanding legal issues, largest corporate transactions and most serious disputes. 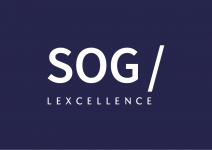 The team at SOG is comprised of a group of business lawyers and multidisciplinary experts, who have been educated at some of the world’s most prestigious universities and have practiced with some of the largest global law firms and legal centres. SOG has extensive experience in complex banking and finance and M&A transactions as well as in bankruptcy and restructuring matters. The team is best known for its capacity to work on cross-border mandates, regularly advising international banks with business in Serbia and throughout the CEE region. SOG’s practice has been predominantly focused on providing legal services in the field of banking and finance, corporate, asset and liability transfer, restructuring, M&A, reorganizations, cross-border financial transactions, offering and purchasing of securities, capital and financial markets. The firms Litigation and Arbitration team is well known for its creative and result-oriented practice and the thorough advice provided to their local and multijurisdictional clients. Their arbitration team has advised and represented a wide range of financial and industrial clients in all forms of arbitration, including disputes heard under the ICC, VIAC and UNCITRAL arbitration rules.